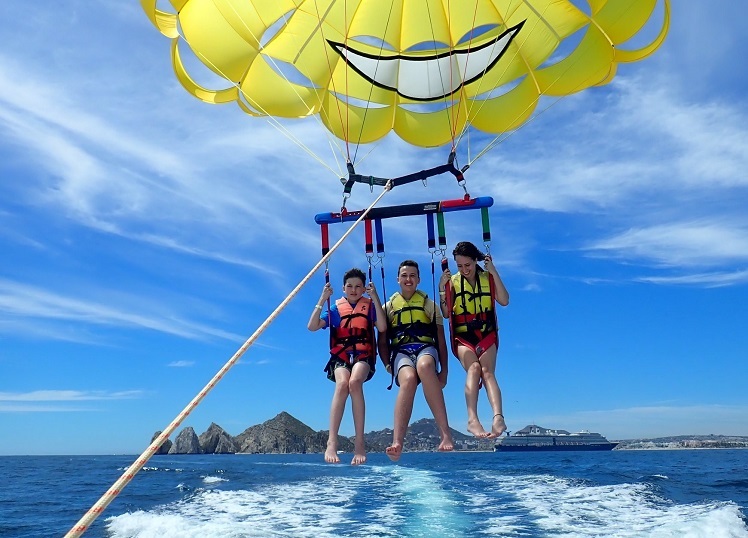 Happy Flights promises you a fun and friendly parasailing trip. And the memory will last forever, with a selection of photos of your parasailing adventure provided free of charge for downloading from our Facebook page. Read our TripAdvisor reviews then book your flight here. See you in Cabo! Hola and welcome to Happy Flights Cabo. I was born and raised in Alberta, Canada and after being involved in parasailing for 20 years I moved permanently to Mexico and established Happy Flights. 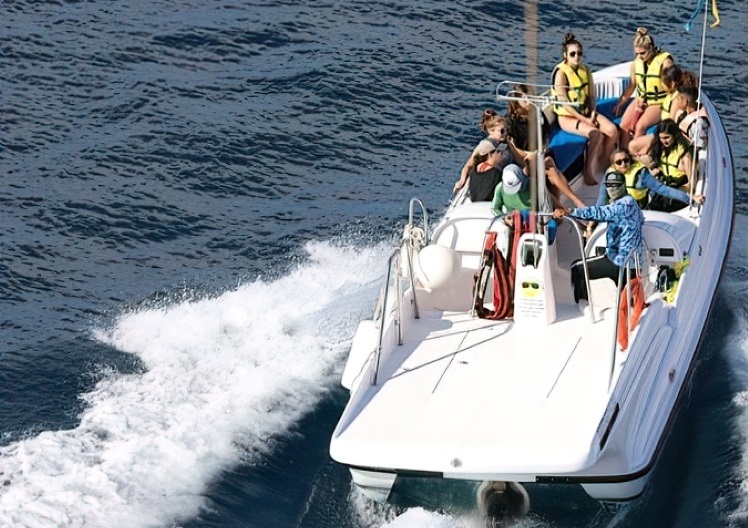 My wonderful crew has given thousands of people from across the world an exciting, safe and friendly parasailing experience and I invite you to fly with us. 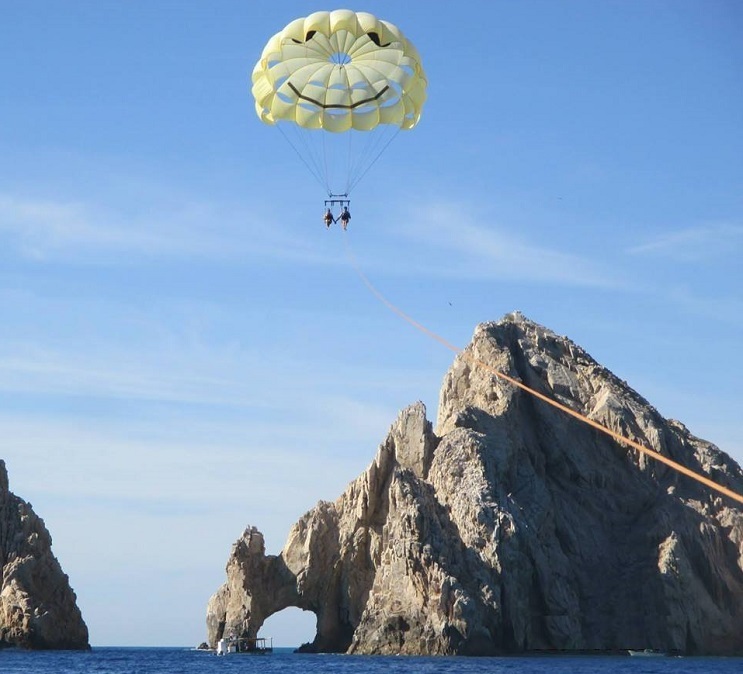 For many people, parasailing with Happy Flights has been the highlight of their vacation in Cabo San Lucas. Arrange your trip before you leave by booking on this site. It's convenient, easy and risk free. Don't hesitate to get in touch for details of group discounts or if you'd like more information. Phone on Mexico 624 114 0446 or email and I’ll reply promptly. This includes tax but excludes a 2.9% booking fee. During your booking you can add non flying passengers for $10 each. 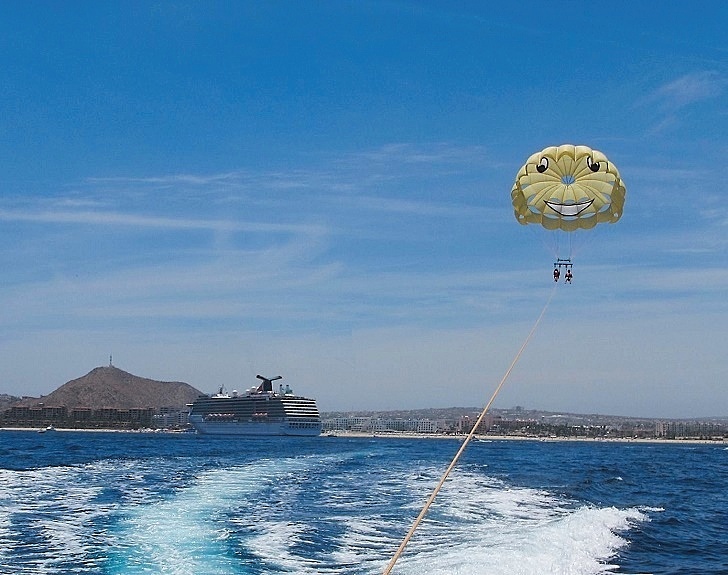 Book for any time during the day - morning flights usually have the best weather conditions for parasailing. And plan your parasailing for the first part of your vacation so if the weather doesn't co-operate you'll have other opportunities to fly. If you need to change your date or time, no problem. Phone or email Kim to discuss. Book below through our partners at Peek. If the weather is unkind and the Port Captain closes the bay, Kim, Victor or Greg will email and/or phone to discuss a new time or date convenient for you. If you’re unable to fly due to the weather, your ship not docking or other reasons out of your control then you’ll get a full refund promptly. We know that holiday plans can change so don’t hesitate to phone or email if you want to change the date or need to cancel. We’re happy to work with you, but do reserve the right to retain 10% of your payment if you cancel at short notice – within 24 hours of your flight – and it’s not for an unavoidable reason. Happy Flights is at Dock F, in central Cabo San Lucas and easily accessible by public transport (map). Come to the Dock F gate a few minutes before the time of your parasailing - Victor, Kim or Greg will be there to meet you. If you arrive on a cruise ship we can save you a walk and pick you up a few steps from where you'll come ashore. The booking confirmation email will give you the full details of this option. If you're driving you can park undercover all day at Puerto Paraiso Mall very inexpensively. For those coming from the corridor or San Jose we recommend catching the blue and gold Ruta Del Desierto bus. Wave it down on the highway and get off at the stop across from Puerto Paraiso Mall. For more info on how to get to Happy Flights, some useful maps and guides are here. Children from the age of 5 can fly tandem with 16 years or older. Solo at least 16 years. It's fine to take one along, but only if you can fasten it securely to yourself. Drop it, it's gone! Your flight will be from 10 - 12 minutes long at a height of up to 500 feet. Total time out is about an hour. Take off and land from the boat - stay completely dry or ask for a 'toe dip' coming back! Book double and single flights separately - just choose the same date and time. Attach any passengers to either booking. Victor, Kim or Greg will meet you at the dock gate - see you in Cabo!